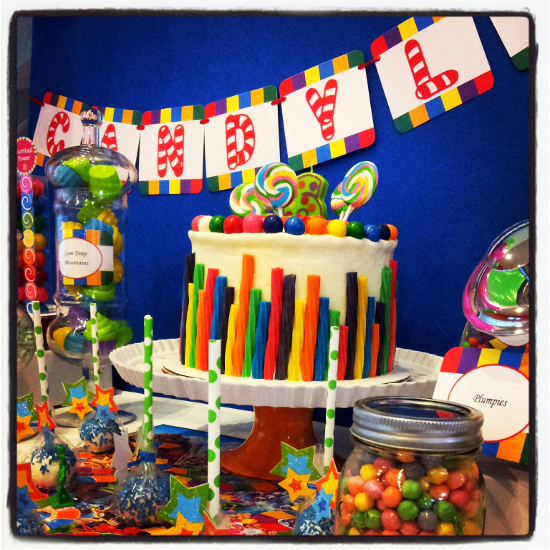 I am so excited to share with you this amazing party thrown by one of my sweet customers, Lisette. When I received her email, I was absolutely delighted and could not help smile from ear to ear looking at the bright and colorful eye candy she had sent me! There are so many things I love about this party, but the highlight is definitely the rainbow cake and other fabulous treats created by The Sweet Tooth Cakery. Thank you again for the beautiful banner and coordinating candy labels to complete the Candyland birthday for one of my best girlfriend's son. 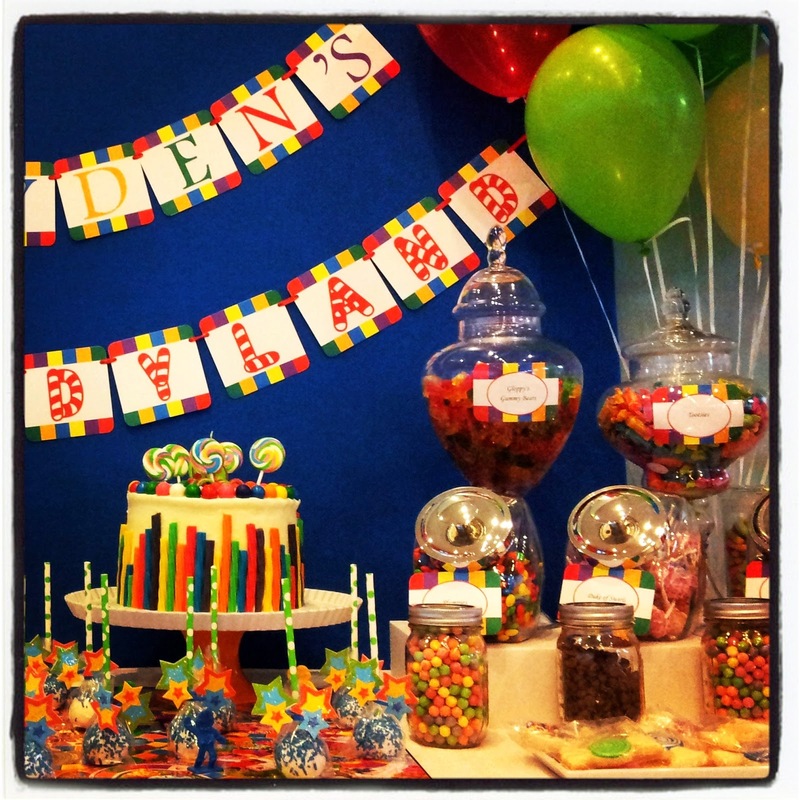 Tanya (Jayden's mom) approached me in January about planning her son's 6th birthday for August. 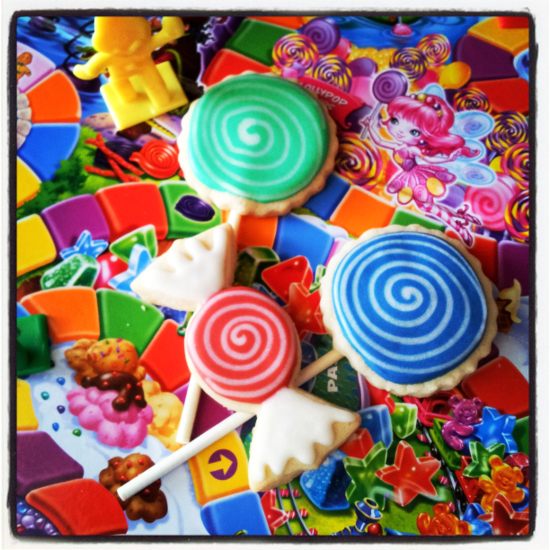 We discussed several themes but settled on Candyland when we realized how much he loves candy. Tanya had already settled on a local bowling alley as the venue so it was just a matter of seeing the vision through. 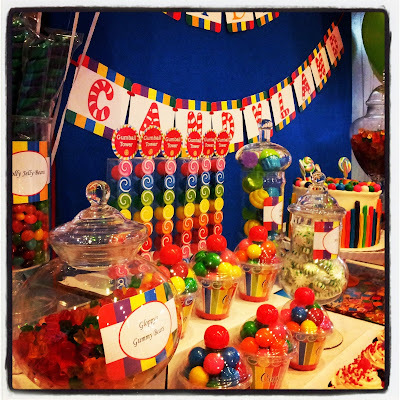 We searched Candyland themes and although the majority were geared towards girls we thought the tablescape you put together for your son was perfect for a boy and we used it as inspiration. Purchasing and stocking up on candy occurred early on. The bubblegum towers and bubblegum cupcake cups were found at Michaels and purchased using several coupons. The unicorn lollipops pops were a great find around Valentines Day at Walmart. (We simply repackaged the pops the day before the party into clear pretzel bags to give them a more neutral look.) The remainder of the candy was purchased at BJ's, Target and the local grocery store. 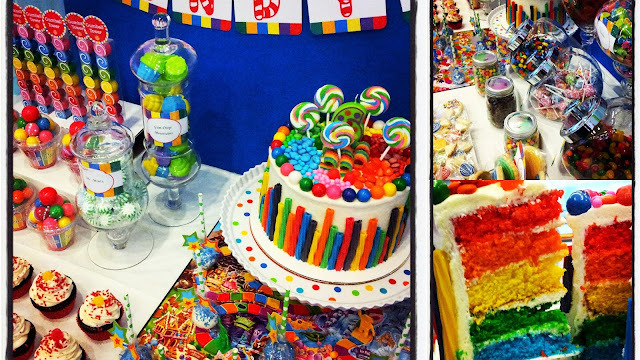 The chocolate cupcakes, confetti cakepops, almond sugar cookies and fabulous rainbow cake were all courtesy of our shop The Sweet Tooth Cakery based out of Tampa, Florida. 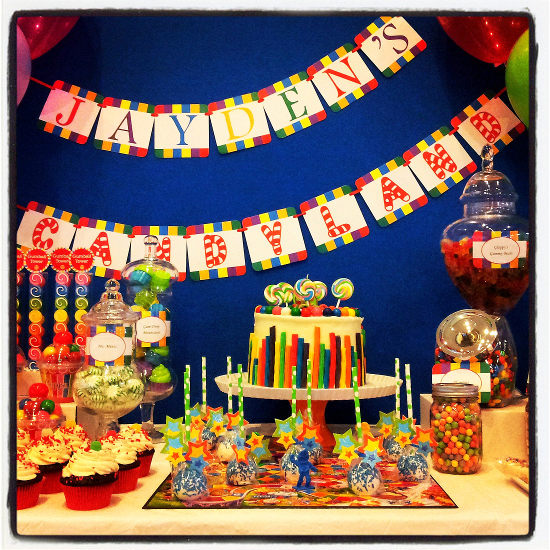 Each child also received their very own toothbrush along with a Candyland board game to accompany all the sweet treats gifted at the party. Thanks so much Lisette for creating such a wonderful party and using the printable banner and labels from the Candyland Party Collection by Sweet Metel Moments! 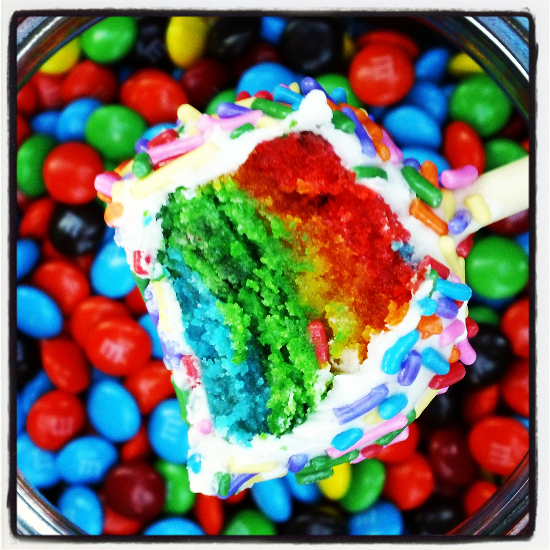 And make sure to check out The Sweet Tooth Cakery by clicking HERE or on Facebook! It was great to work with you too Lisette! Thanks again for putting this beautiful party together!